Alex decided to open his own business to provide customers with the quality service they deserve. Alex is a certified technician with factory training. He strives for perfection and offers fast and affordable service. Alex and his team are professionals you can trust. Call Alex’s Marine today!!! 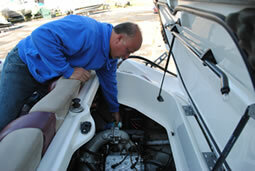 Your Complete Service Center for Boat, RV, ATV or Jet-Ski.